CHAN Eagles star Dele Ajiboye has disclosed that at Plateau United all four goalkeepers are good to play for the NPFL champions and as such there is no designated No 1. “There is no number one goalkeeper as we are selected based on fitness and performance,” Ajiboye explained. “Okeimute (Odah) started the season while I was away with the national team as first choice because he was fit. Now he picked up an injury and I am fit, so I have become first choice. This is why I say there is no No 1 in this team. The former Nasarawa United star has now said he hopes he has not lost out on the World Cup in Russia based on his performances with Plateau United. 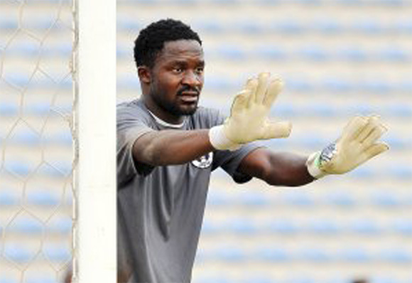 The post There’s no No 1 goalkeeper at Plateau Utd — Ajiboye appeared first on Vanguard News.